On May 31st, 2018, the Miami Herald reported on a recent federal court indictment. Fourteen South Florida residents are among the seventeen people that have been charged in a $25 million computer fraud scheme. Mostly residents of Palm Beach County and Broward County, the co-conspirators have been charged with a variety of wire fraud crimes. At Ratzan & Faccidomo, LLC, our criminal defense lawyers have experience handling complex fraud cases. In this article, our experienced Miami white collar crimes attorneys provide an overview the allegations in the federal indictment and explain what you should do if you have been charged with wire fraud, mail fraud, or a related financial crime. According to allegations cited in the Miami Herald, two South Florida men, Michael Seward and Kevin McCormick, owned an IT company called Choice Tech Support (later renamed Client Care Experts). Federal officials contend that this company was used to carry out a complex computer fraud scheme. The basics of the scam are something that many Florida residents are familiar with: the computers of innocent people were locked with misleading Malware. Essentially, malicious popup ads appeared on computers. To get out of the popup, the computer would need to be restarted. However, many consumers were not aware of this fact. They did not know what to do to fix the problem. The pop-up ad contained a tech support phone number that routed callers to the company owned by these men. Once consumers were on the line to fix the problem, company representatives attempted to sell them expensive, unnecessary tech products and tech services under fraudulent premises that their computers need such repairs. Wire fraud charges must always be taken seriously. 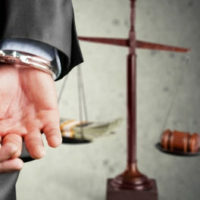 If you are facing potential wire fraud charges in Florida, or if you have already been arrested for wire fraud, you need to speak to an experienced white collar crimes lawyer immediately. All wire fraud cases require personalized legal attention. This is because wire fraud is a very broad crime. Wire fraud occurs when a person uses electronic communications in an attempt to obtain financial gain under a false premise or using false promises. These charges can come in many different forms. In addition, the penalties that a person can face for involvement in a fraud scheme can vary dramatically. There are other complicating factors in these cases as well. For example, wire fraud charges are often connected to other crimes. In many cases, multiple defendants are charged with similar offenses. Defendants need to make sure that their individual rights and interests are fully protected. At Ratzan & Faccidomo, LLC, our South Florida defense lawyers are strong advocates for defendants. We have extensive experience handling white collar crimes cases, including computer fraud charges. If you or a family member has been arrested, please do not hesitate to contact us today at 305-600-3519 for a free consultation. We represent defendants in Miami and throughout the region, including in West Palm Beach, Fort Lauderdale, Miami Beach, and Hialeah.